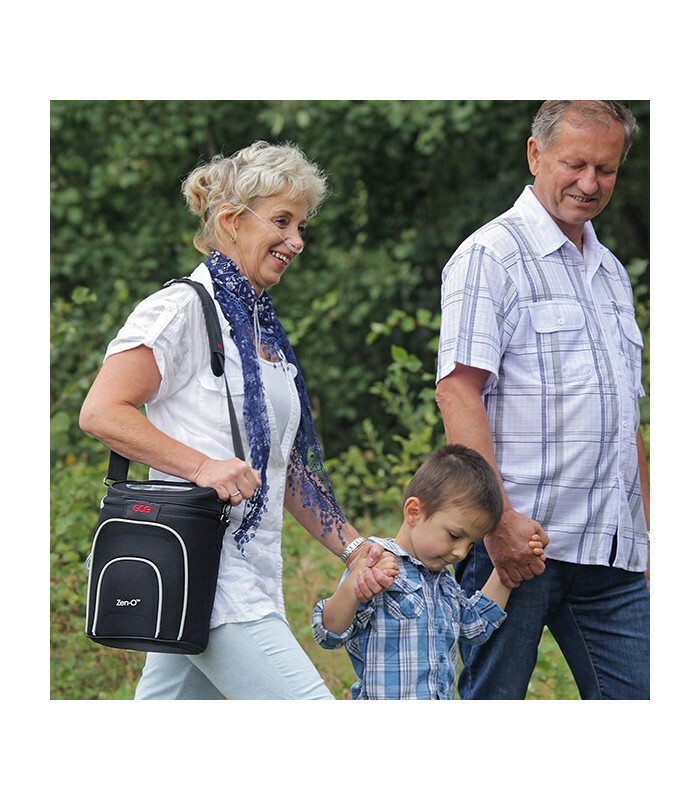 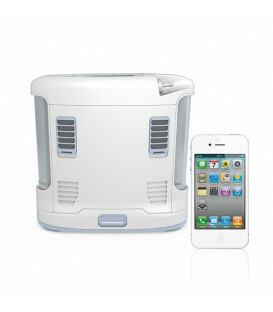 Zen-O™ portable oxygen concentrator is designed to enable patients with respiratory disorders such as chronic obstructive pulmonary disease (COPD), to better manage their oxygen therapy within and outside their homes. 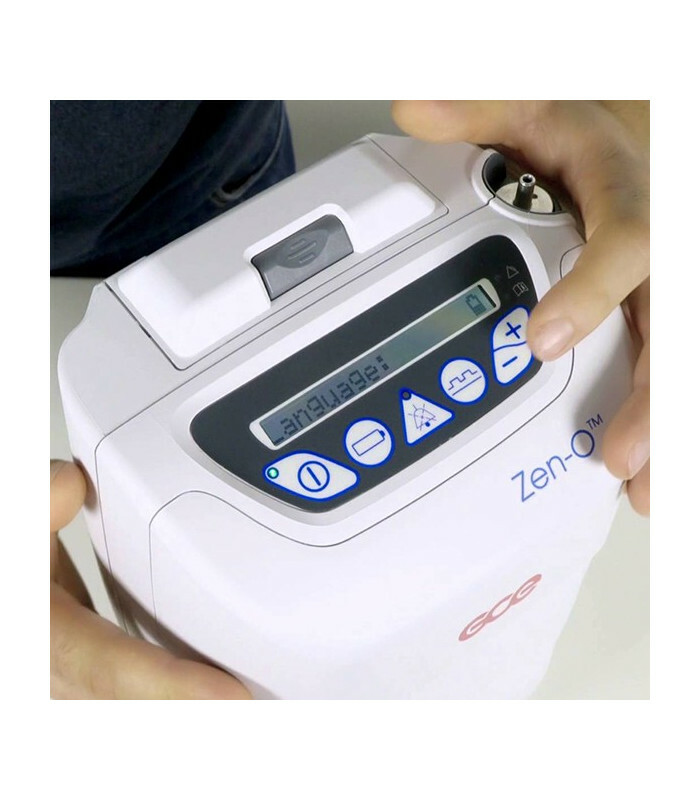 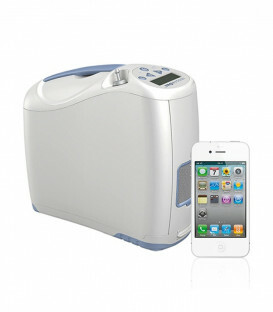 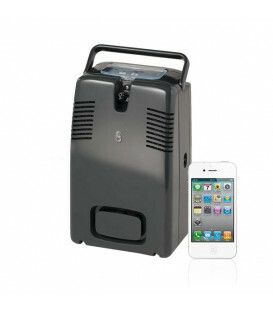 Zen-O™ weighs just 4.66 kg and can deliver up to 2 litres per minute of oxygen in either pulse or continuous flow. 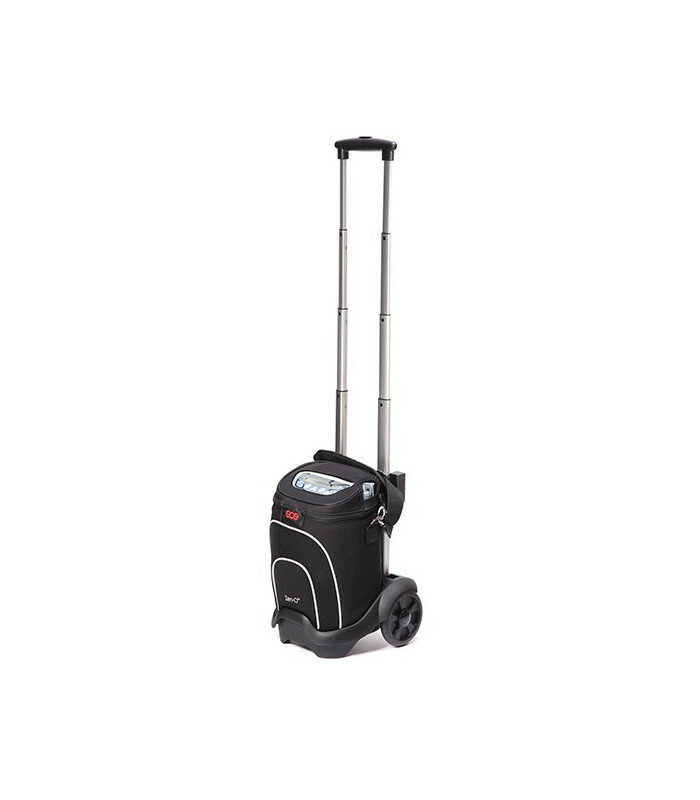 Zen-O is supplied with variety of accessories, including a carry bag and a pull cart for increased mobility. 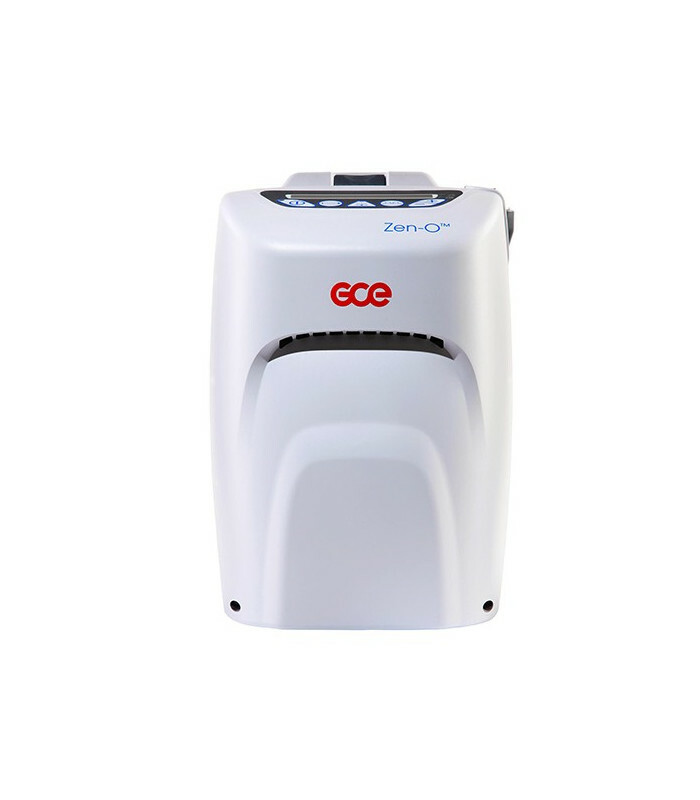 Zen-O™ is produced in the UK following GCE’s investment in a new manufacturing and innovation centre. 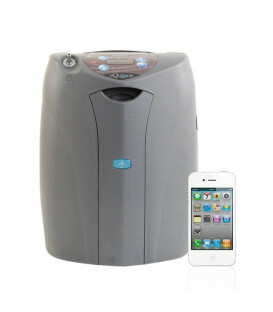 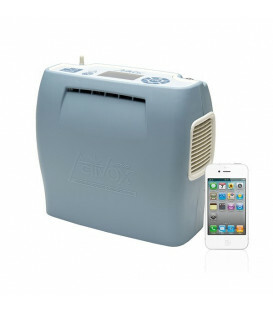 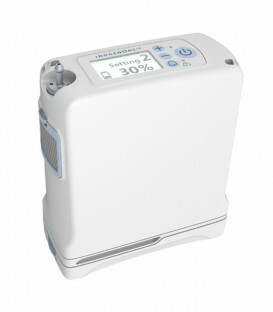 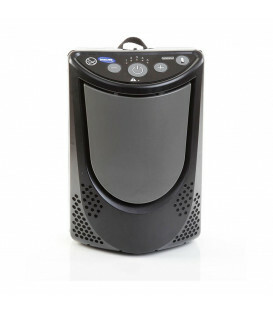 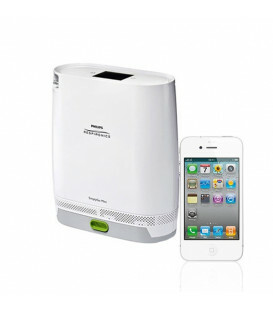 Zen-O™ portable oxygen concentrator is manufactured in the UK to high standards. 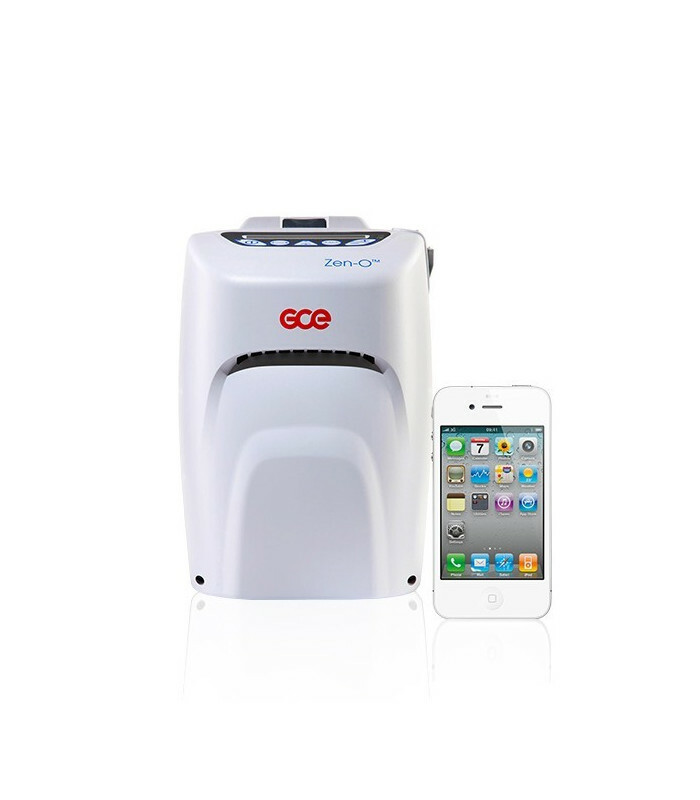 GCE has locations Latin America, China and multiple warehouses across Europe. 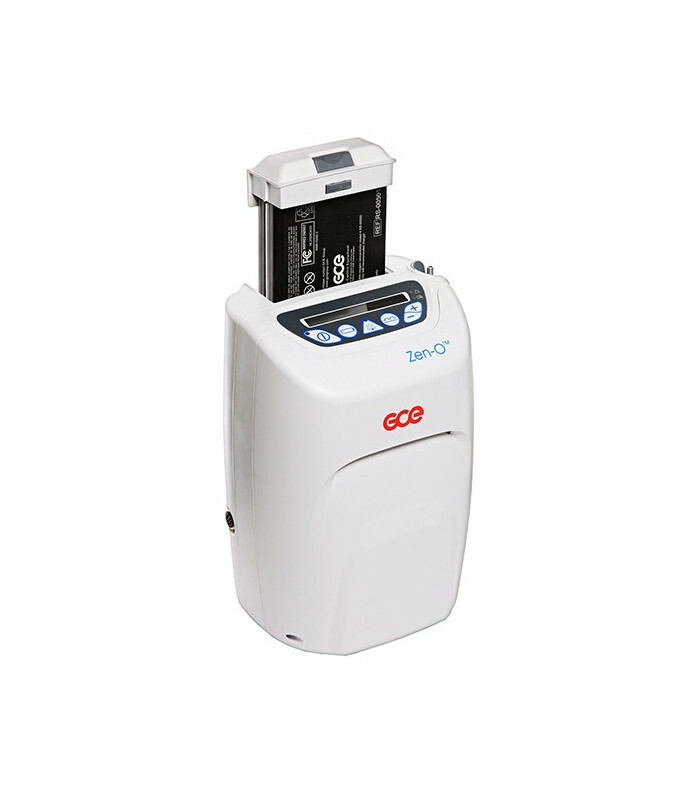 Our strategic partners in North America and Africa help us ensure accessories and spare parts are readily available to our customers. 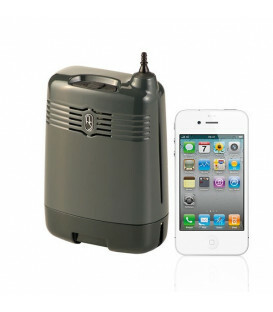 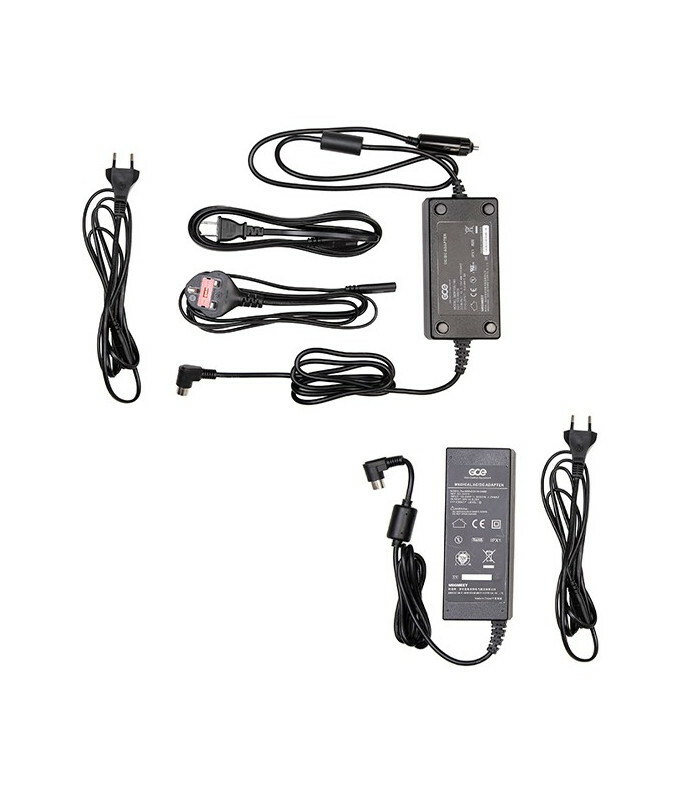 Each Zen-O™ device is supplied with a carry bag, battery, AC/DC power cables and a pull cart.